- 2019 Conference Report released. - Click the banner below for more information and to register. The DOHaD (Developmental Origins of Health and Disease) Society of Australia and New Zealand is an organisation dedicated to improving the life-long health of every mother, father and child. The society is made up of scientists, doctors, health workers and public health experts dedicated to studying how a healthy start to life can reduce the risk of developing many diseases, both now and in the future. Pregnancy and early childhood are critical times of risk, where many different factors can influence development. But they are also critical times of opportunity, where healthylifestyle behaviours can prevent the risk of future disease. Common risk factors mean common solutions. Many diseases are associated with our modern lifestyle, suggesting common risk factors for many diseases. These include unhealthy dietary patterns, reduced physical activity, altered patterns of microbial exposure, tobacco smoking, harmful use of alcohol, and other environmental pollutants. By working together, members of DOHaD ANZ aim to reduce the growing burden of a broad range of modern diseases, and to improve health in the new millennium. DOHaD ANZ is a not-for-profit society overseen by a council of volunteer scientists and clinicians. It is an affiliate society of the international DOHAD Society. 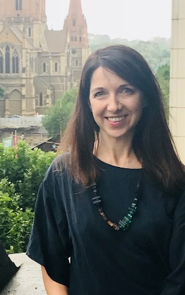 A/Prof Bev Muhlhausler completed her PhD in 2006, and is now Head of the Obesity and Metabolic Health Division and Deputy Director of the FOODplus Research Centre at the University of Adelaide. 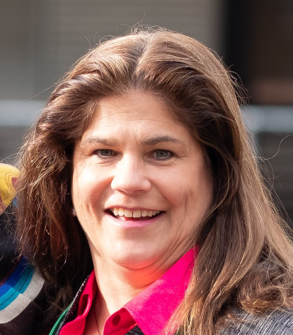 Bev’s primary interest is the perinatal origins of obesity and poor metabolic health, with a particular interest in determining the mechanisms through which maternal obesity and poor quality ‘Western-style’ diets predispose the offspring to obesity and type 2 diabetes. 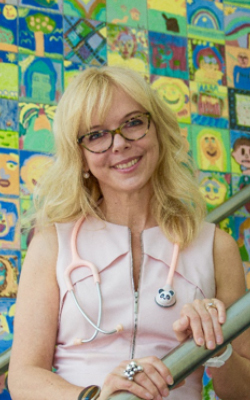 Prof. Susan L. Prescott MD, PhD, is an internationally acclaimed pediatrician and immunologist. For more than 20 years she has been publishing paradigm-shifting research, casting light on the ways in which all life experiences - including contact with microbes - resonate through the immune system, setting the stage for subsequent health or disease. Her current work focuses on the interconnections between human health and planetary health - promoting holistic value systems for both ecological and social justice. 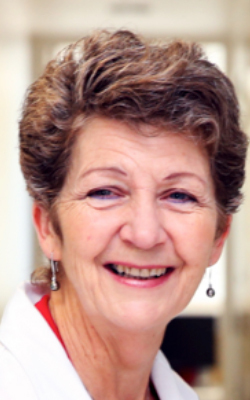 She is the founding President of the DOHaD Society of ANZ, and is the current Director of the ORIGINS project, which examines how the environment influences all aspects of physical and mental health throughout life. A/Professor Nicolette Hodyl is passionate about helping people and organisations improve the health of individuals and communities. 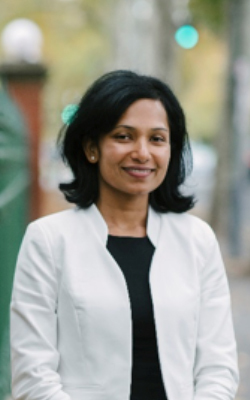 She established and leads Vertex Health, a Melbourne-based consultancy and strategic advisory platform that works with health and research organisations across Australia to enhance service delivery, develop and improve research programs and increase the impact of their health initiatives. Through engaging with patients, their communities and scientific and medical experts, Nicki creates pragmatic strategies that are shaped by expertise and respond to real-life needs and experiences. She has over 15 years research experience in scientific and clinical environments, largely focussed on improving pregnancy and child health. Dr Hayley Dickinson, PhD, is committed to improving women’s health through education, self-care and challenging the status quo. Hayley has over 14 years of research experience in laboratory and preclinical science. Hayley recently stepped out of the traditional biomedical research structure and now works freelance. Hayley currently works with endota spa to inform and empower women to take steps that will improve their health and wellbeing, and that of their families. Hayley recently founded Eat For Baby, a startup that will provide home-delivered food meeting the changing nutritional requirements of women before, during and pregnancy. Hayley’s vision is for a closer, more responsive integration of research and healthcare in women and children’s health. 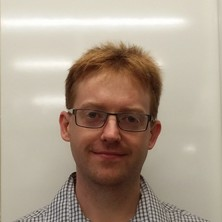 Professor Mark Vickers is based at the Liggins Institute at the University of Auckland. Dr Vickers’ research focus is on the effect of alterations in early life nutrition on the later health and wellbeing of offspring with a particular focus on the development of obesity and the metabolic syndrome. Dr Vickers has established a number of preclinical models utilizing the paradigm of altered early-life nutrition (including both under- and overnutrition) to examine the mechanistic basis of programming during critical periods of developmental plasticity. Dr Vickers also investigates the potential for reversibility of developmental programming via both nutritional and pharmacologic interventions and was one of the first to show that developmental programming was potentially reversible with interventions in the early life period. Dr. Prabha Andraweera (MBBS, PhD) is a NMHRC Peter Doherty BioMedical Fellow in the Discipline of Obstetrics and Gynaecology, Adelaide Medical School and the Robinson Research Institute at the University of Adelaide. 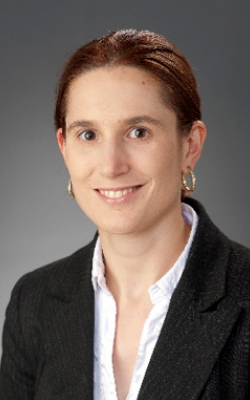 Her current research focuses on genetic and intrauterine environmental effects on cardiovascular risk after adverse pregnancy outcomes in women and children. Dr Gurmeet Singh is the director of the Life Course Studies which includes the Aboriginal Birth Cohort (ABC), the oldest and largest cohort of Aboriginal people in Australasia. She has dedicated over 19 years to Indigenous health in the Northern Territory (NT), in her roles as a Paediatrician, a Researcher and Academic capacity with the Northern Territory Medical Program. Her main area of interest is the relationship of early life factors to later health and chronic disease, particularly renal disease. Professor Mary Wlodek is a Professor in the Department of Physiology, School of Biomedical Sciences, Faculty of Medicine, Dentistry and Health Sciences, The University of Melbourne. Professor Wlodek graduated with a BSc(Hons) and MSc from the University of Western Ontario, London, Canada. She was awarded her PhD in Physiology from Monash University, Australia. She is a global leader in developmental origins physiological research and Head of the Fetal, Postnatal & Adult Physiology & Disease Laboratory. She is renowned for her successful experimental model that mimics human growth profiles, organ deficits and phenotypes observed in babies born small who are susceptible to adult diseases. Her laboratory is recognised as performing complex whole animal physiological studies exploring of the adult, pregnancy and transgenerational consequences of being born small. Critical to translational outcomes is the incorporation of various innovative treatments and interventions including nutritional (cross-fostering, diet), exercise, pregnancy, transgenerational and impact of stress and alcohol during pregnancy. Professor Desiree Silva is the Professor of Paediatrics at the University of Western Australia and Joondalup Health Campus. She is the current Head of the Paediatrics Department at Joondalup Health Campus and also provides a rural Paediatric service. Desiree has been involved in a number of strategic reviews including the impact of swimming pools in Aboriginal communities and paediatric planning for Western Australia. She recently completed her PhD and published a number of articles on the early environmental risk factors and education and justice outcomes for children diagnosed with ADHD in Western Australia. She has been a strong advocate for understanding early brain development and improving the lives of children and parents who have mental health conditions. She is on the board of Nature Play WA and St Marys Anglican Girls' School. Desiree is a strong advocate of having a healthy lifestyle, good work life balance and a sense of adventure. 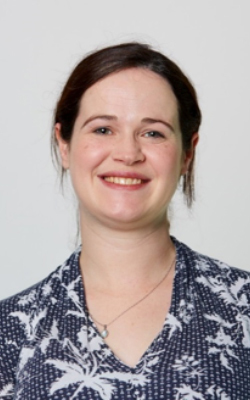 Dr Clare Reynolds (BSc, PhD) is a senior research fellow at the Liggins Institute, University of Auckland. Her research focus includes metabolic inflammation and the role of maternal diet during pregnancy on the long term health outcomes of offspring during adulthood. Dr Reynolds uses small animal models and immunological, biochemical and molecular methodologies to address her research questions. She is currently funded by a HRC Sir Charles Hercus Research Fellowship and Emerging Researcher Grant. 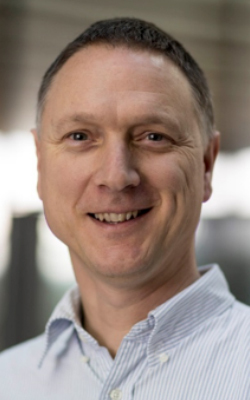 A/Prof Jeff Craig leads the MCRI Early Life Epigenetics Research Group. He has established a number of early life cohorts, many of them involving twins. He focuses on epigenetic changes associated with early development and the link between environmental factors, development and disease. 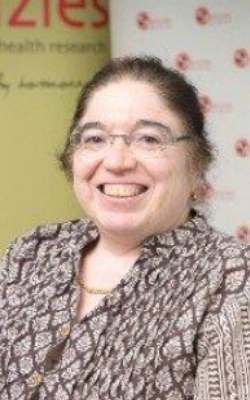 Professor Margaret Morris (BSc, PhD Monash) is currently Head of Pharmacology at UNSW Sydney, and leads the Environmental determinants of obesity research group within Medical Sciences. Her research addresses critical questions concerning the impact of adverse early life events and lifestyle factors on chronic disease risk. The impact of parental obesity and early childhood events has been a key focus, exploring offspring metabolic and cardiovascular risk, and options for intervention. Current work includes intergenerational transmission of obesity and the psychology of eating, e.g. how does provision of a varied, energy rich diet override the regulatory control mechanisms that should maintain body weight? Her lab is investigating the impact of sugar, and fat, on cognition and the gut microbiota. 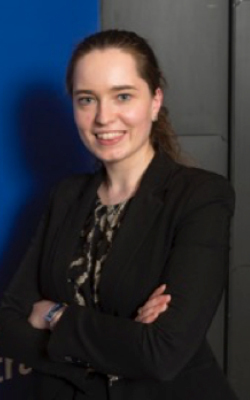 Dr Erin McGillick completed her PhD in fetal physiology at the University of South Australia and is currently a postdoctoral fellow at The Ritchie Centre, Hudson Institute of Medical Research, Monash University. Erin's research investigates the effect of pregnancy complications on lung development and the transition from fetal to newborn life. This work is directed towards gaining greater understanding of the fundamental physiology underpinning the transition at birth in compromised newborns. This work aims to provide pre-clinical evidence to better inform management of newborns to reduce both the short- and long-term burden of disease associated with obstetric subpopulations. This international learned society aims to promote research into the fetal and developmental origins of health and disease. 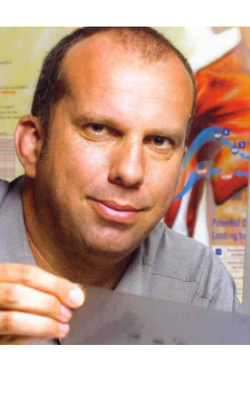 The DOHaD concept is bringing new insights into the pathogenesis of disease. We now know that poor fetal growth and small size at birth are followed by increased risk of coronary heart disease, stroke, hypertension, Type 2 diabetes and osteoporosis. This has led to the hypothesis that these disorders originate through unbalanced nutrition in utero and during infancy. 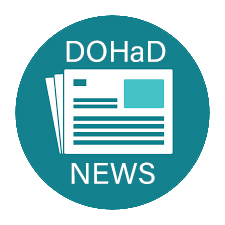 There is a range of experimental models for investigating the underlying biological mechanisms, and DOHaD is now a burgeoning research area in both basic and clinical sciences. Research into developmental origins of health and disease now involves scientists from many backgrounds. This society promotes cohesion and shared knowledge between groups working in different specialties and different countries. Click here for International Website.